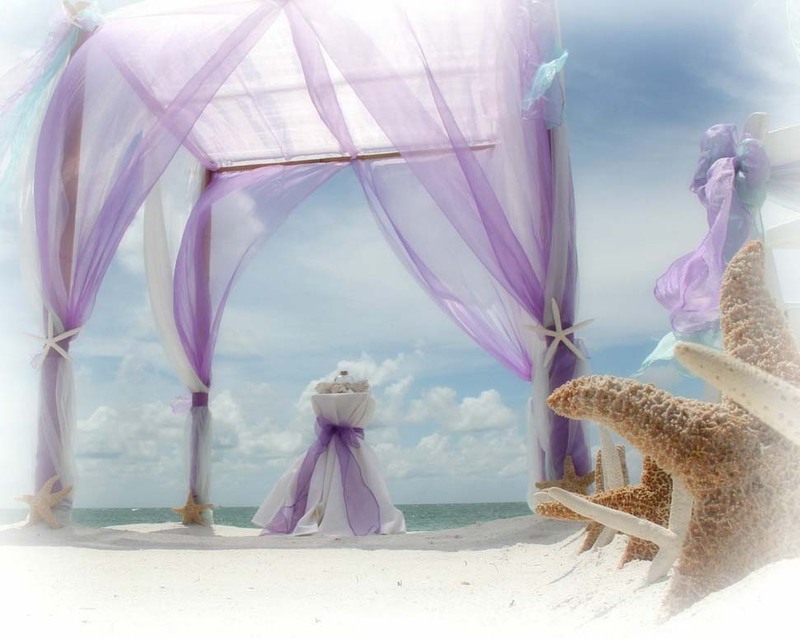 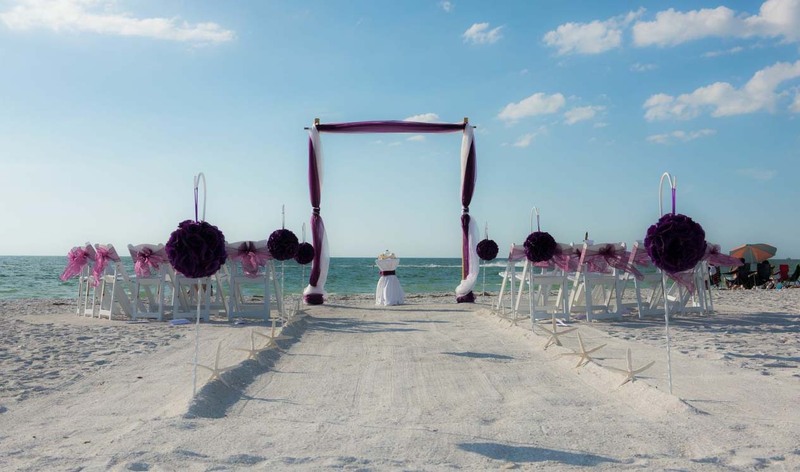 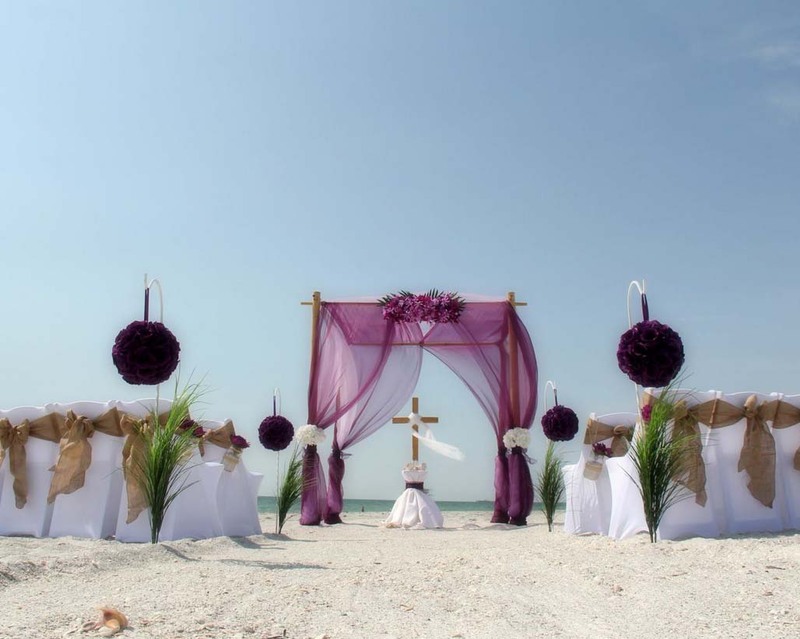 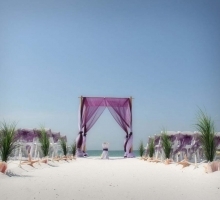 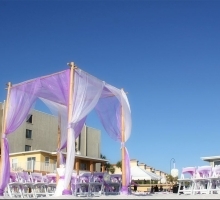 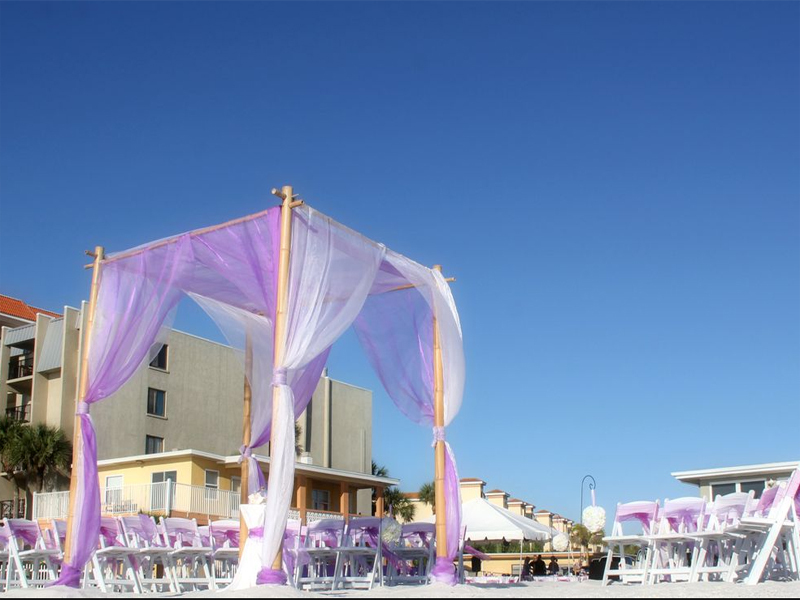 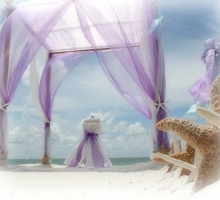 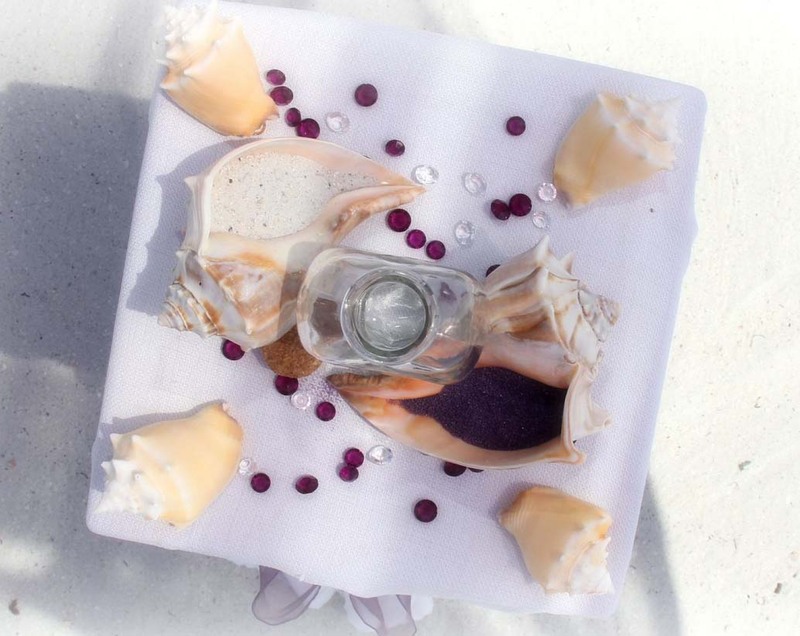 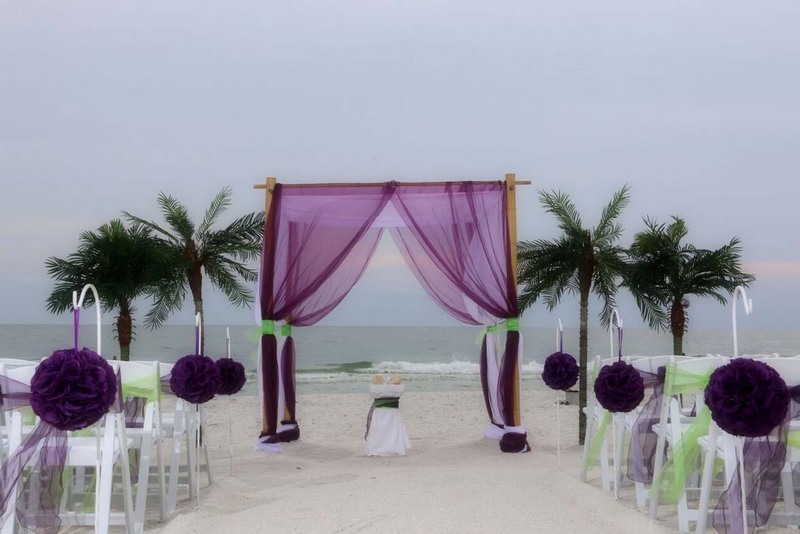 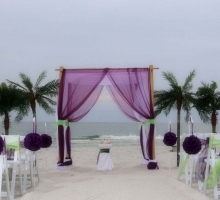 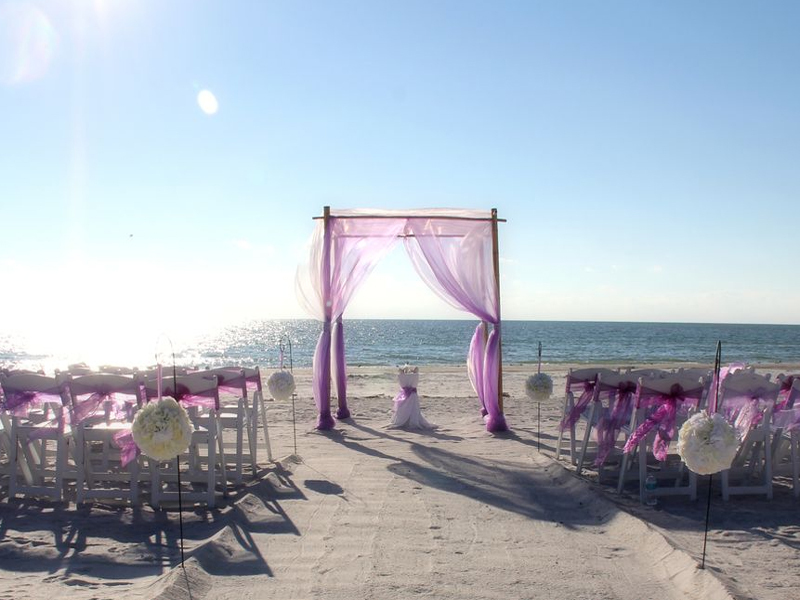 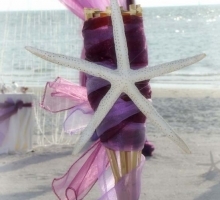 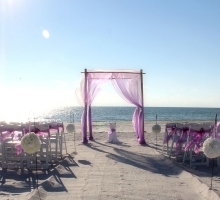 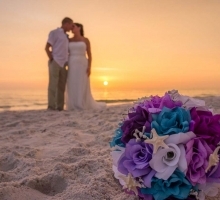 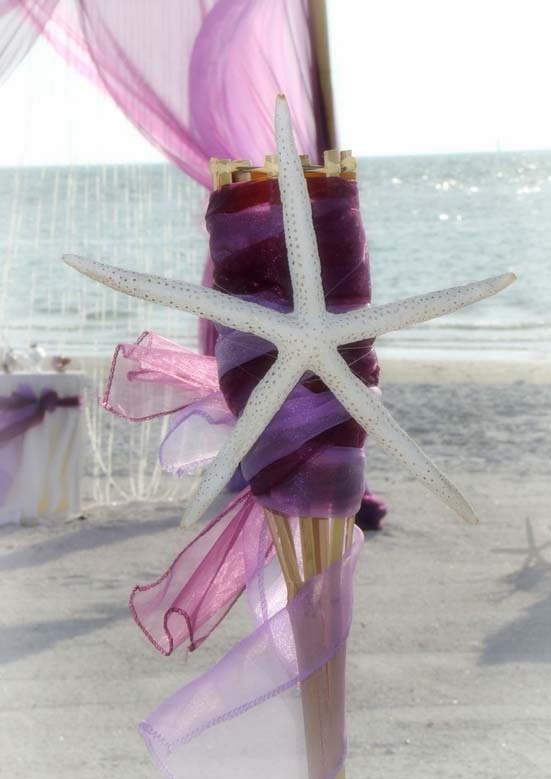 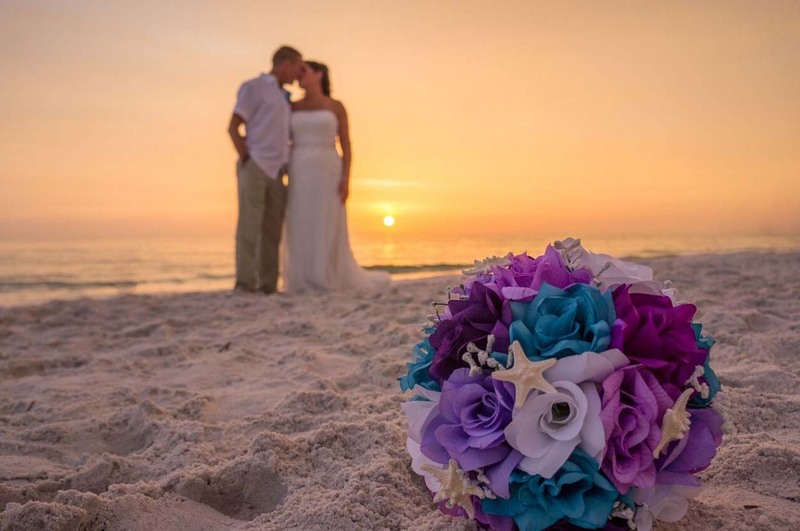 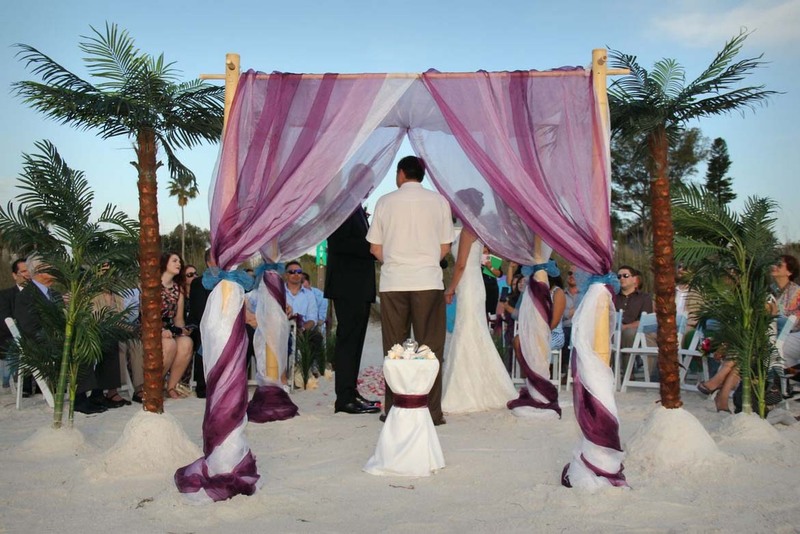 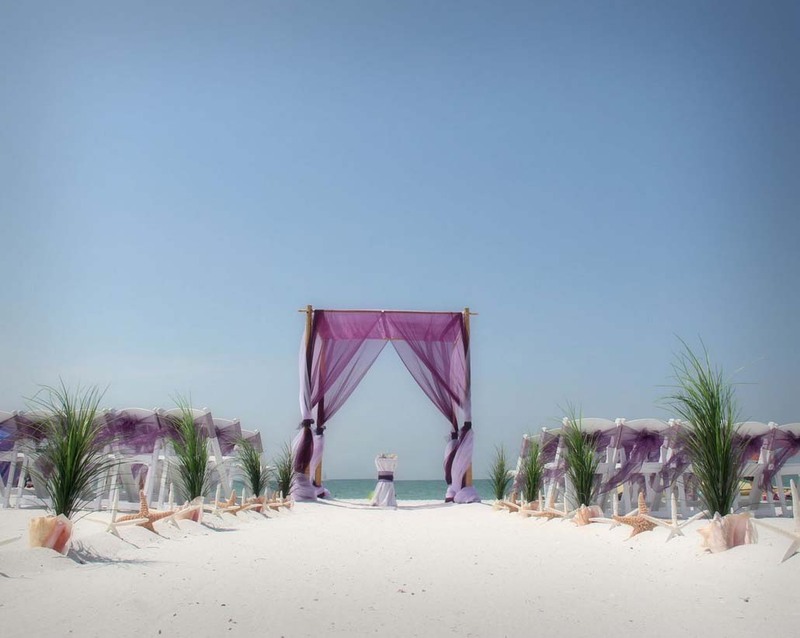 Florida beach wedding themes by Suncoast weddings are fresh with elegance and brimming with style - will you fall under the spell of our 'Lilac Delight'? 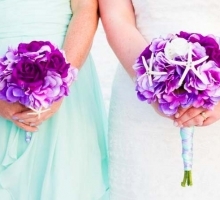 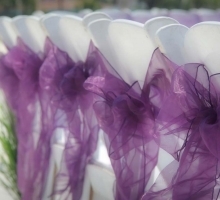 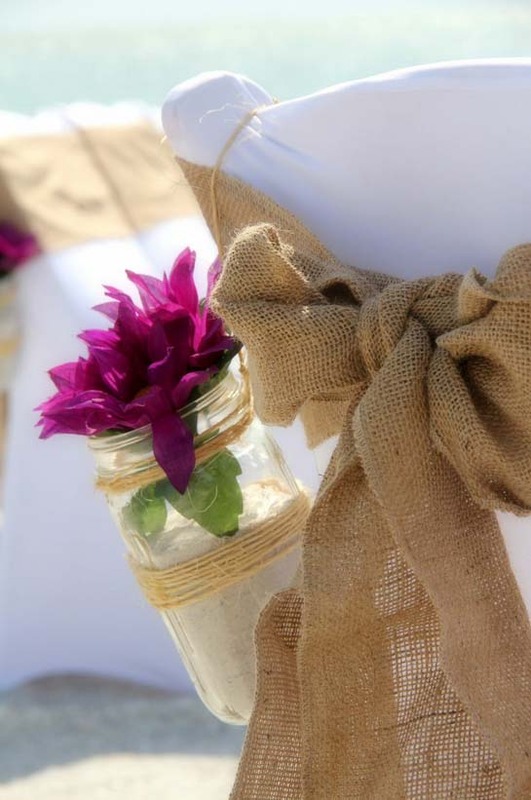 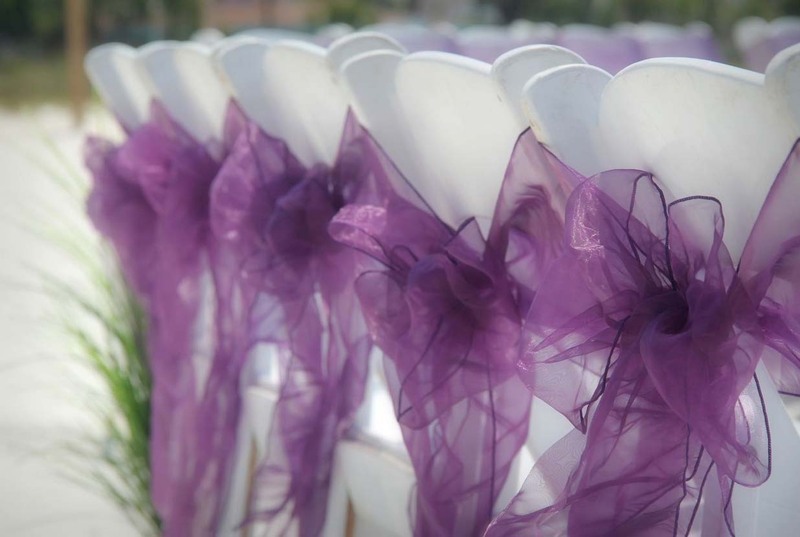 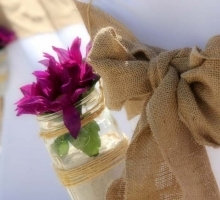 For a romantic effect, add accents of lovely lilac to your wedding. 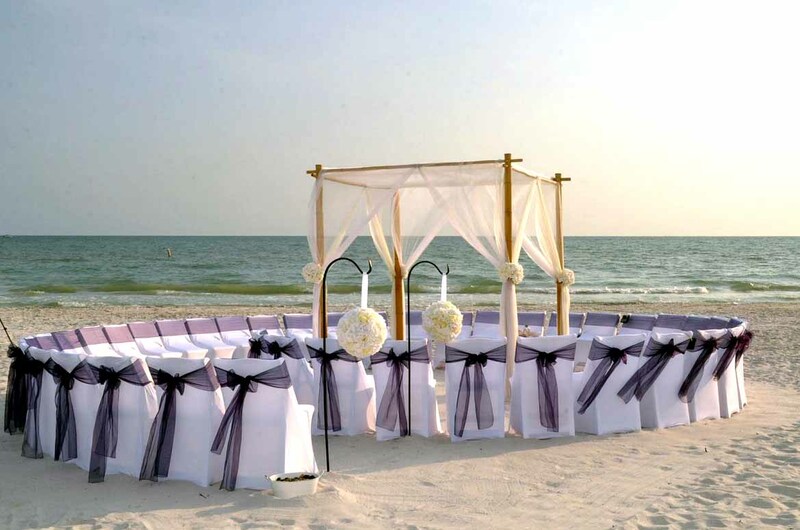 Eye-catching, pleasing and full of promise. 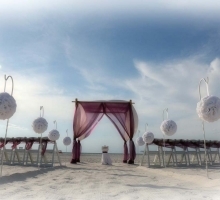 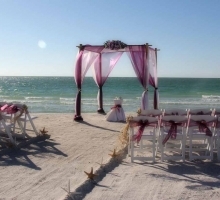 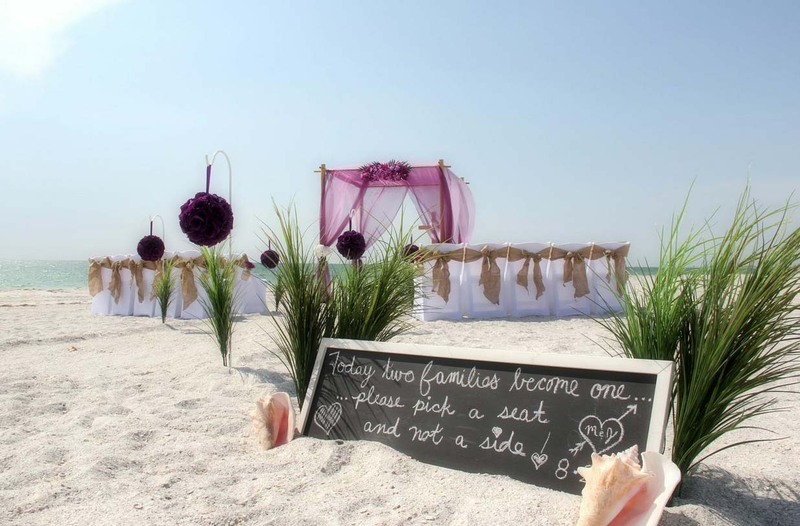 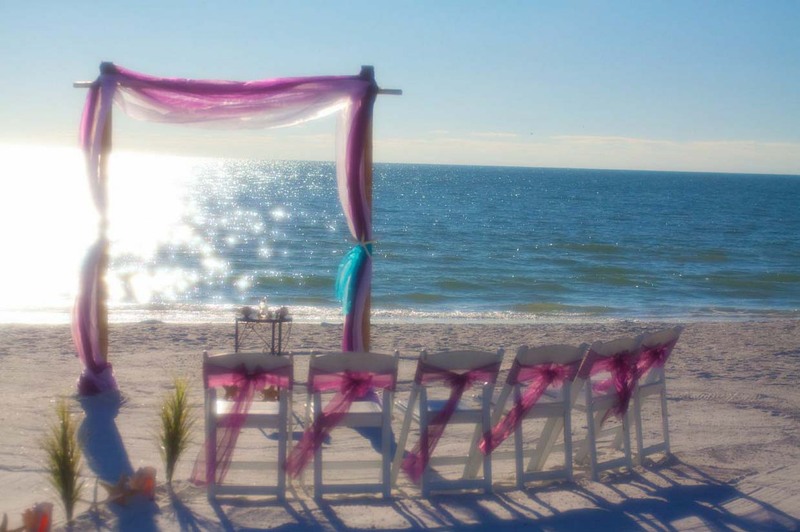 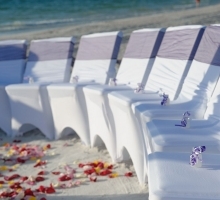 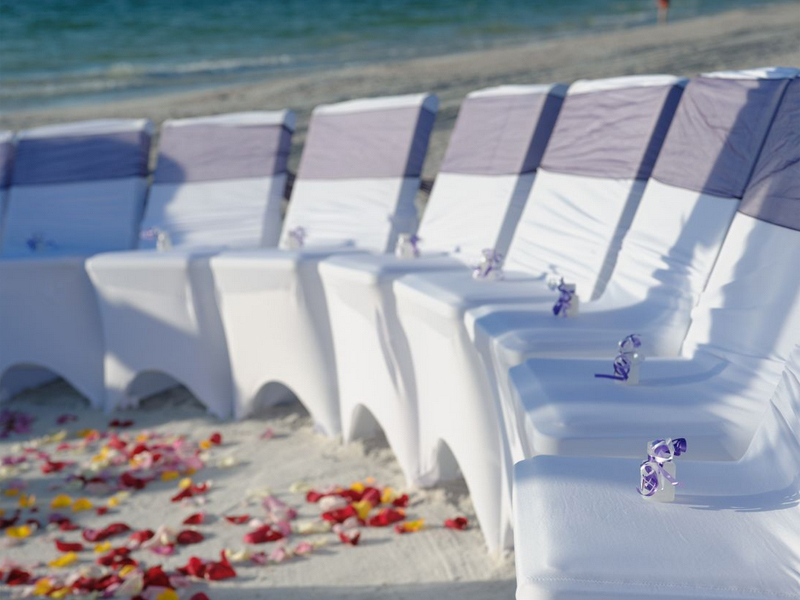 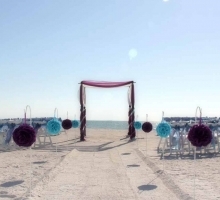 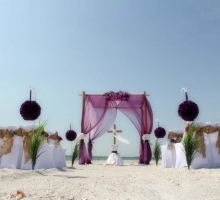 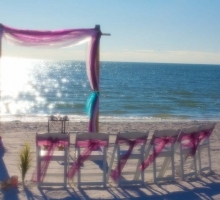 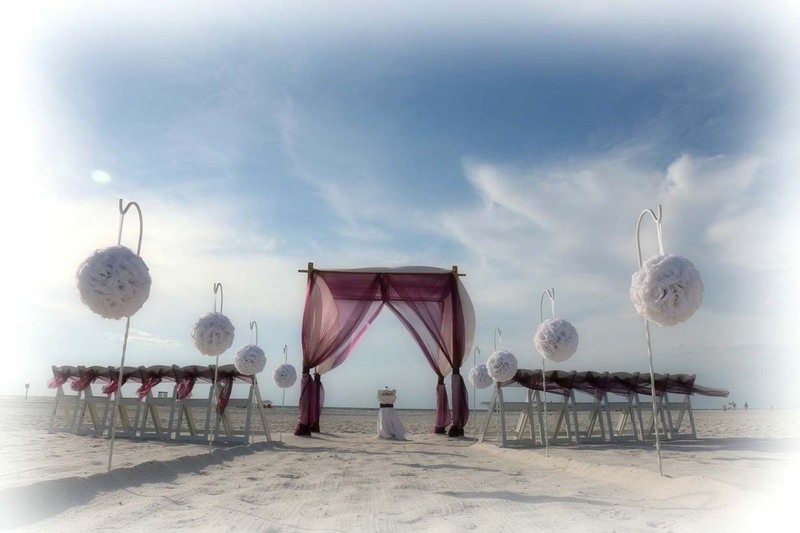 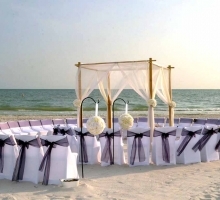 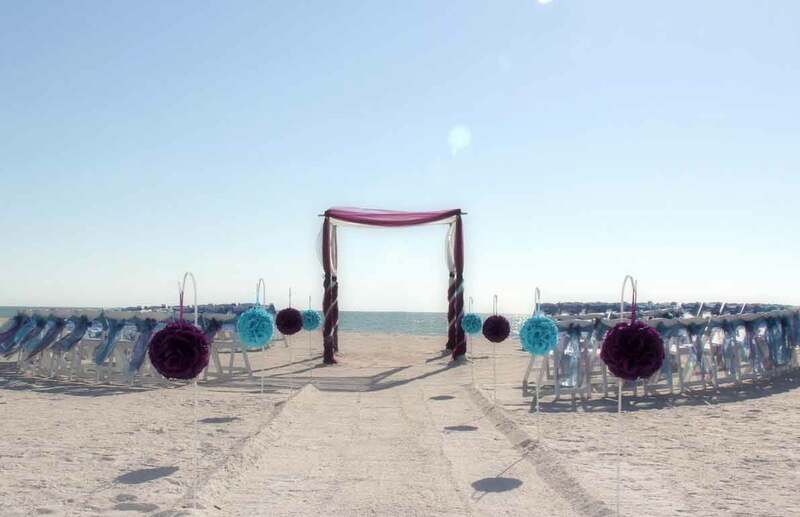 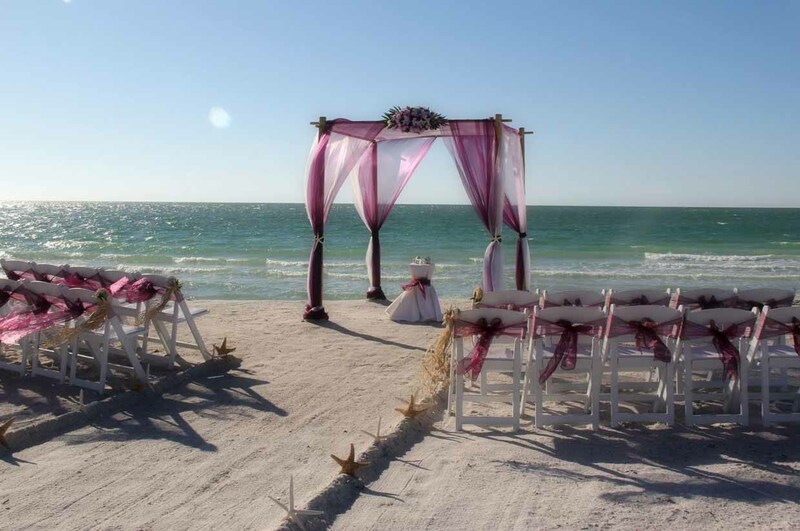 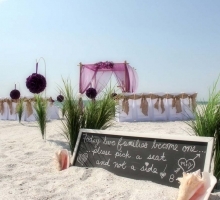 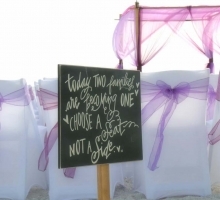 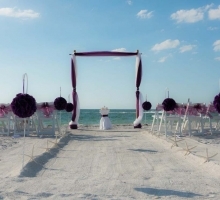 The shades and colors contrast with the sand and sea to make a truly lovely beach wedding setting. 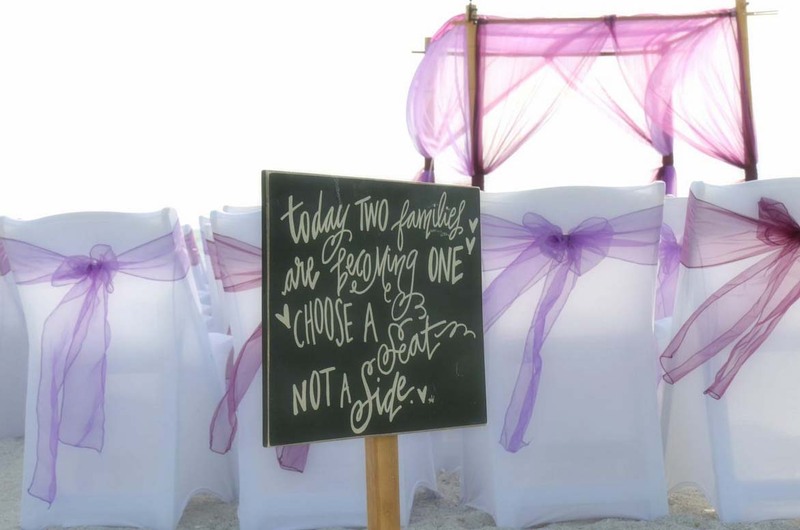 Choose one color, or mix and match .... the possibilities are endless. 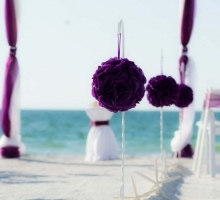 The shades range from deep eggplant and plum through to subtle purples. 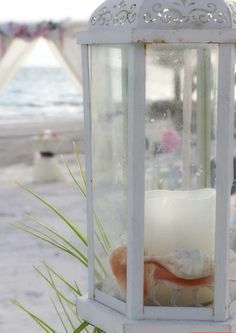 Sheer fabrics catch the Florida sunshine and look particularly stunning. 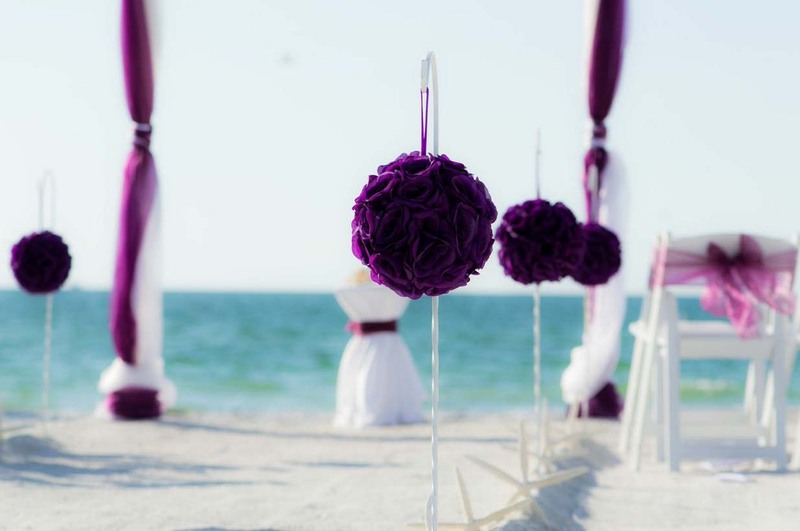 This is one of our most popular themes and it's easy to see why - subtle yet sophisticated, timeless yet modern, this 'delightful' twist evokes the warm embrace of a salty breeze across a Florida shore.If you have fallen for our Lilac Delight theme and want to start planning your own ceremony, call us today at 727-443-0039. 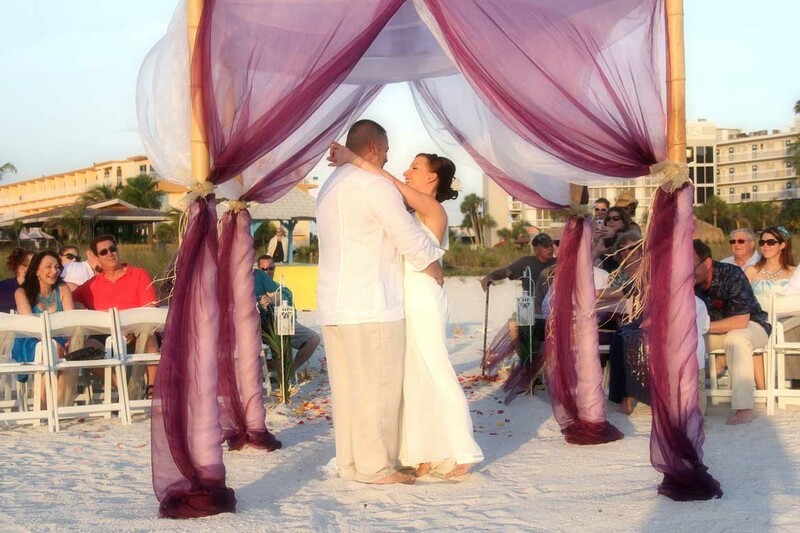 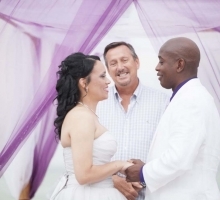 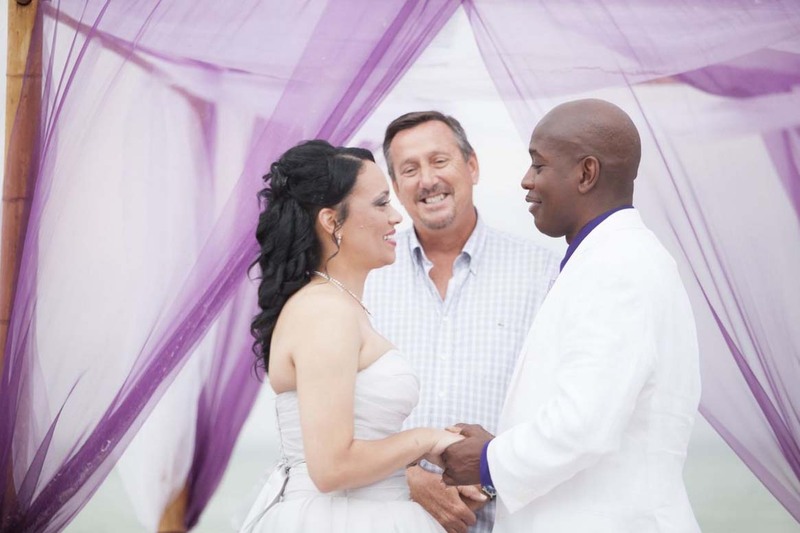 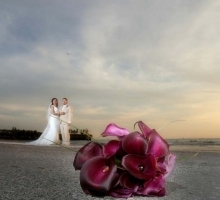 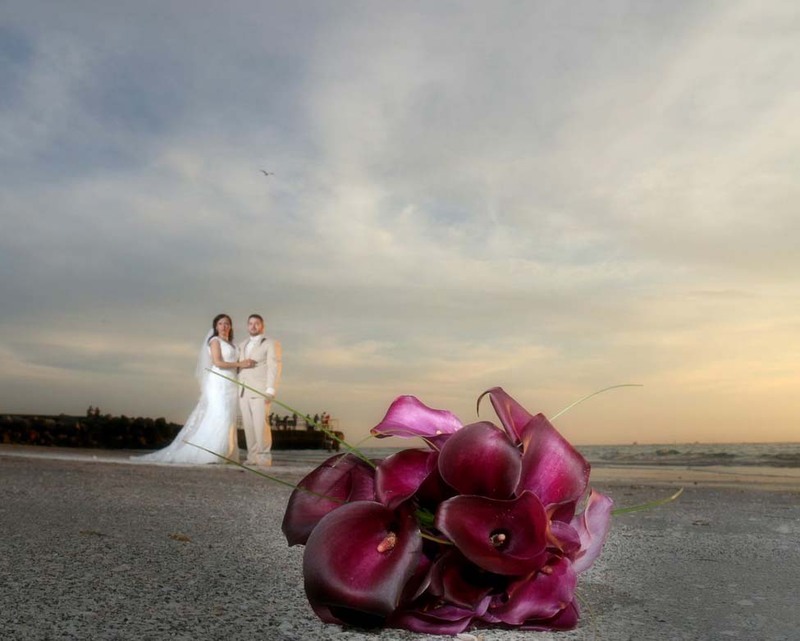 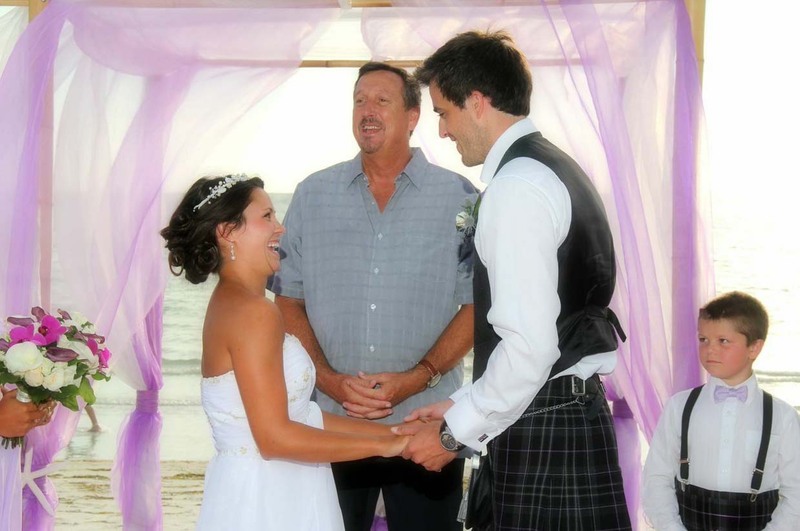 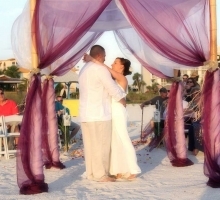 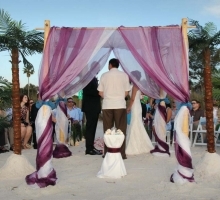 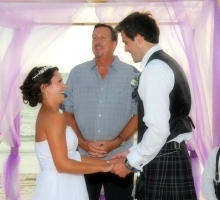 With Suncoast Weddings it is easy to tailor your ceremony so it is uniquely yours. 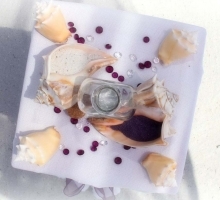 If you don't see exactly what you are looking for, we'll work with you and create something à la carte just for you.